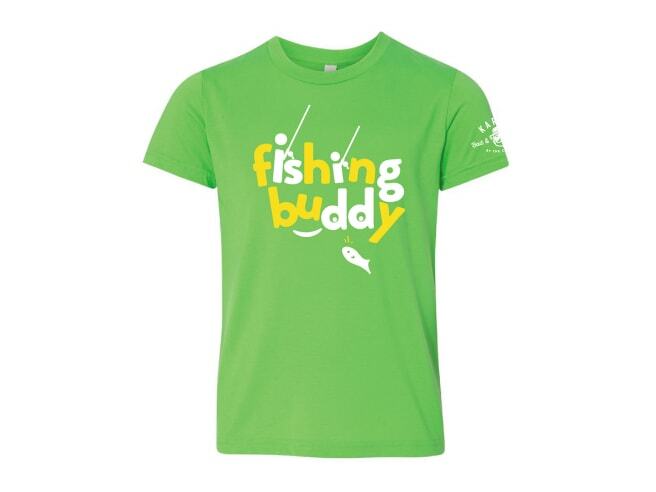 Get your little pal fishing in style with the Karl’s Bait & Tacke Buddy Youth Fishing T-shirt. Made from an advanced cotton-polyester blend this shirt is not only comfortable, but it also keeps its size and softness after multiple wash cycles. Available in youth sizes to perfectly fit the growing angler in your life.